"The Heartbeat of the Kettle Moraine"
Historic Palmyra, Wisconsin is nestled in the heart of the Kettle Moraine with its arms outstretched to encompass rolling hills, lakes, streams, and trails left in the wake of the glacier age. It is at the extreme upper end of the Scuppernong River and lies about 40 miles west of Milwaukee. It is the same distance from Madison, right in the center of the Kettle Moraine State Forest. The tranquility of the woodland, marshes, and wetlands surrounding Palmyra is the perfect place to find an abundance of wildlife. Steeped in history and tradition. From its early days, Palmyra would make a mark on Wisconsin history, as when the first Wisconsin railroad was laid through the village in 1852, a posh resort hotel and healing spa was built in 1874, and one of the state's first Old Settlers' Day celebrations was established in 1885. Many prominent businesses would spring up in Palmyra over the years, starting with a sawmill built in 1847, water bottling companies in the late 1800s, and a prosperous and highly awarded automobile sales business in the early 1900s. The Kettle Moraine State Forest offers a wide variety of hunting opportunities from fall through late spring. Deer hunting is the most popular, but wild turkey, duck, squirrel, pheasant, woodcock, and cottontail rabbit season continues to be a very popular sport. Fishing in the lakes and streams surrounding Palmyra will supply you with many hours of enjoyment, whether you keep them for a meal or catch and release. You will find bass, bluegills, perch, sunfish, and northern among the most popular catches of the day. It has been estimated that more than 100 different bird species nest in the 3500 acres of wetlands and prairies of the Kettle Moraine. Some of the most common species found in the area include sparrows, the gray catbird, the hooded warbler, red–shoulder hawk, redwing blackbird, robins, finches, morning doves, small songbirds, sandhill cranes, and owls. Bird watching is one of the favorite activities enjoyed by residents and visitors alike that frequent this corner of Wisconsin. 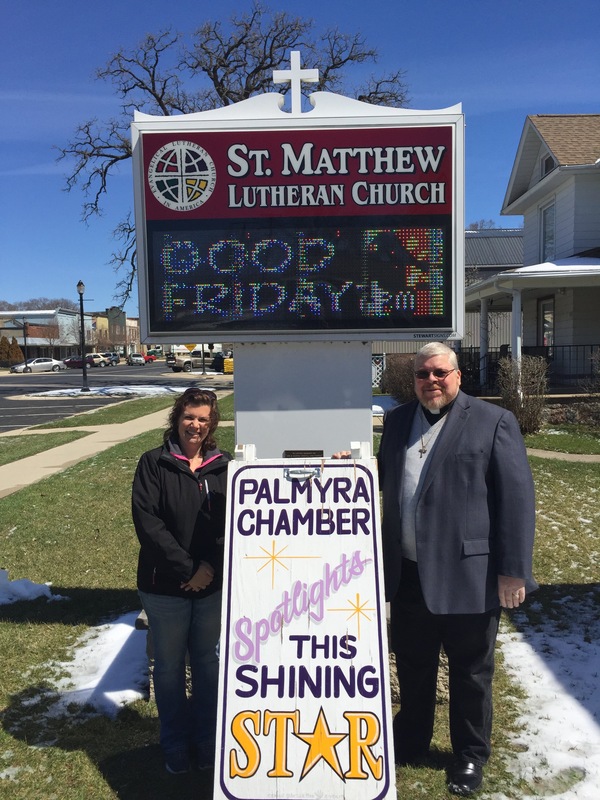 Palmyra is a friendly community of approximately 1800 residents in the village and another 1200 residents in the township that welcome visitors to their restaurants, retail shops, parks, churches, library, historic sites, and attractions. Come and spend a day, a week or a lifetime in beautiful historic Palmyra.